Today I’m reading and re-reading ekphrastic poems by Sara Biggs Chaney at The Boiler. 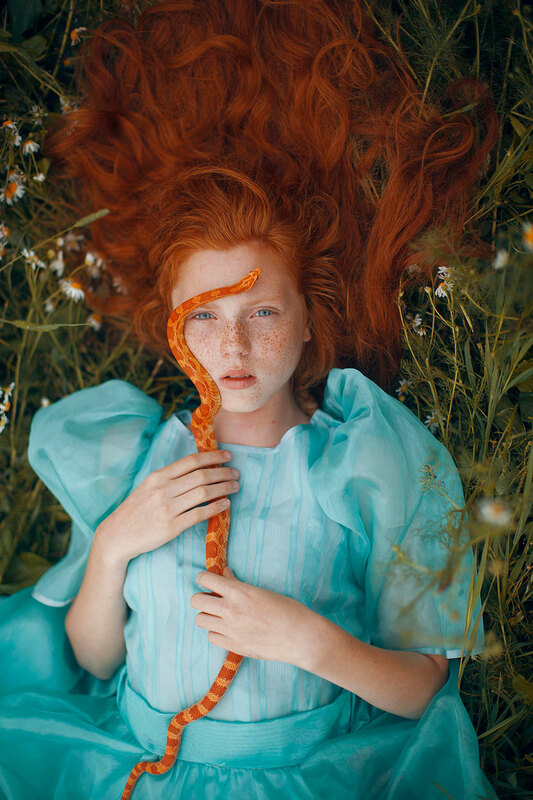 They’re based on the photographs of Katerina Plotnikova, who uses live animals and striking color in her photographs — they’re very evocative. So, too, are Sara’s poems. and I do not flinch. See the photos that inspired the poems here and here.